The Whitehouse Correspondents Dinner last night was a travesty for our country in a number of ways, and the comedienne that was the centerpiece for the dinner was one of the crudest and most despicable attempt at humor that I have seen anywhere let alone on national television. Many people in the media criticised the White House Correspondent’s Dinner over the weekend because of the fact that Wolf’s performance was disgustingly gross and hateful. But, not CNN’s White House Correspondent Jim Acosta. 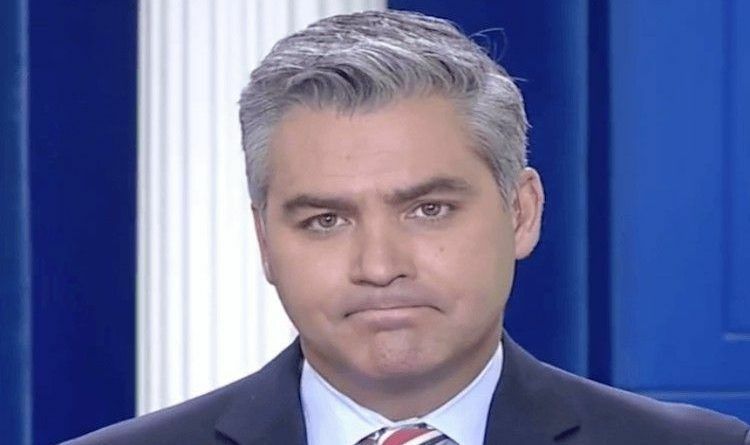 Instead, Acosta blamed President Trump for the controversial White House Correspondent’s dinner over the weekend. Acosta slammed the Commander-in-Chief on social media just hours after the ‘dirty dinner,’ saying his “problem” with the event wasn’t the “comedian who told some nasty jokes” but rather the President himself. “My problem with last night’s dinner is not that we had a comedian who told some nasty jokes. It’s that we did not really address the nearly constant attacks on the press from the president. The dinner should change with the times so we send a strong message to the world. #WHCD,” he tweeted. “Strong message”! Sure, send a “strong message” that you guys that claim to be tolerant are not and that claim to be journalists are not and that claim to be comedians are not. You are slimy, intolerant, partisan offensive people. That’s the “strong message” you sent! His problem with last night’s dinner should include but not be limited to that you had a comedian who told some nasty jokes. He should also address the nearly constant attacks on the president from the press. The dinner should be abandoned and he should stop projecting your partisanship to the world. What do you think of Jim Acosta’s opinion on Whitehouse Correspondents Dinner attacks?